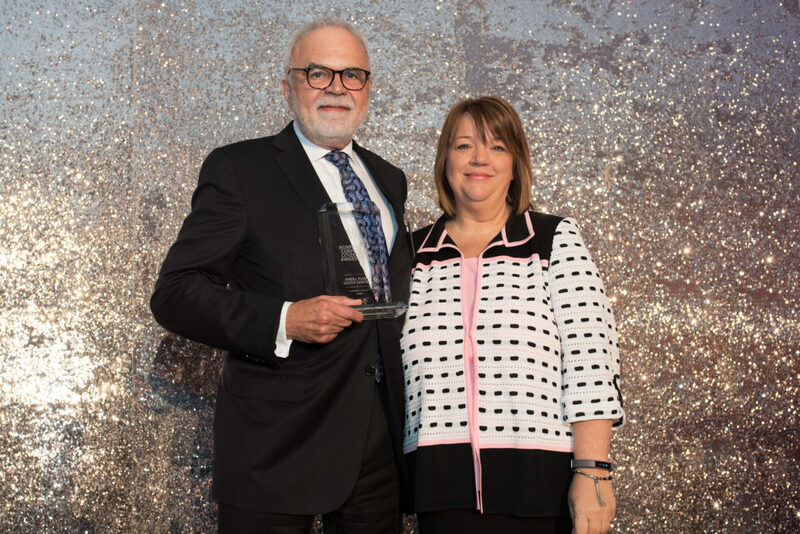 On August 1, D CEO magazine and the Communities Foundation of Texas chose Angel Flight South Central for their Organization of the Year award at the Micro level. AFSC Board Treasurer and pilot Wayne Maynard accepted the award on our behalf. He is shown here with D CEO Editor Christine Perez. We are excited to share that Air Charity Network (the umbrella organization that encompasses all the Angel Flights across the country) will be one of the 2018 inductees into the International Air & Space Hall of Fame. 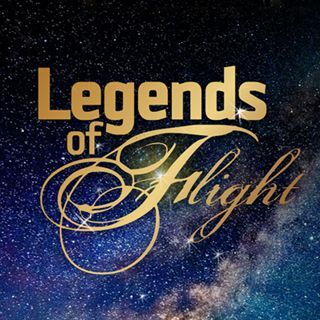 The members of the International Air & Space Hall of Fame are recognized for their outstanding contributions to aviation and space innovations. 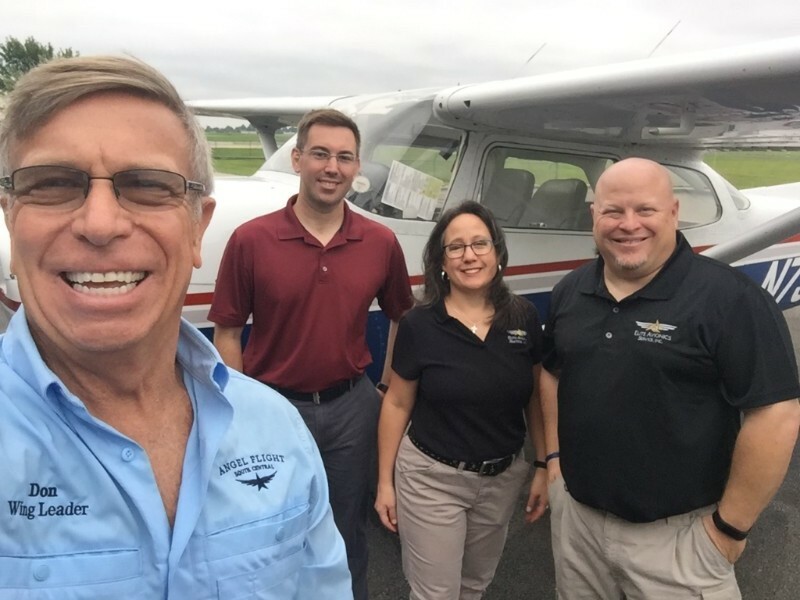 Kellye Beavers and Charles Hollingsworth of Elite Avionics (both in dark blue) very generously donated a free pitot static and transponder system certification to one of our Arkansas-based volunteer pilots. Thanks so much to the Elite Avionics team – we really appreciate your support! Do you (or a friend or family member) want an easy way to support AFSC? 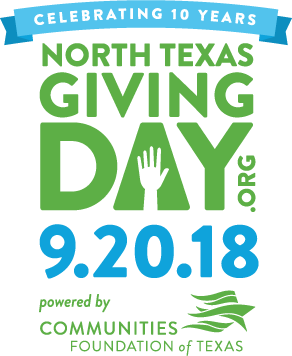 We're participating in North Texas Giving Day on Sept. 20, a huge fundraising day for nonprofits. This year, they added a feature where supporters can create their own fundraising pages for their favorite organization. The setup process is simple. All moneys raised go straight to AFSC, so you don't have to manage a thing except telling your friends. Brews & Props III: October 13 / Duel Brewing ABQ, Albuquerque, NM / Auctioning 48 custom-painted 4' propellers by premier artists and suitable for hanging. Selling limited edition, signed, numbered posters. Live auction, food, music and fun. Proceeds benefit AFSC's New Mexico wing. Learn more about the event. There's an online auction for those who cannot attend in person! Race of Angels 5K: December 8 / Conroe–North Houston Regional Airport. Registration now open!